Amber Valletta photographed by Herb Ritts. Image published in and scanned from Vogue US April 1994 issue. Deo Dorant comes in powder form so it won’t stain your clothes. I have been going back and forth with deodorants ranging from conventional antiperspirants to several different natural cosmetic brands. Some natural deodorants did not work in extreme situations. The one from Madara performed really well until it didn’t. Added to that, my underarm skin started to reject it. So why look for a substitute for that trusty Nivea then? Conventional antiperspirants work by reacting with sweat to create a temporary plug in your sweat glands. But since there are lymph nodes located under your arm, it is not so wise to plug anything there. What the skin sweats out is supposed to come out. 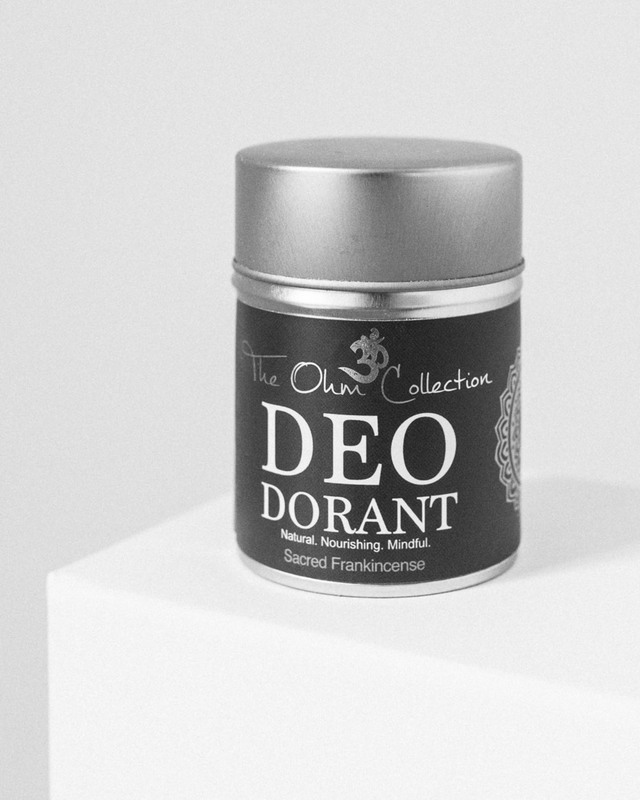 So I am trying something new again, a fairly new find, product called Deo Dorant by Ohm Collection. I intuitively chose the scent Sacred Frankincense but I notice it is very mild as the product comes in powder form. You apply a small amount of the powder under your arms to absorb sweat and keep unwanted smells at bay. Sweat itself does not smell that much. The body odor is produced by the bacteria on your skin that breaks down fats and proteins present in you sweat. Deo Dorant is a unisex product that can also be used for feet. After a month, so far so good, and I am keeping my fingers crossed this one will last.